I am a Tamarac resident who spent 30 years in the corporate arena amassing an impressive record of accomplishment in sales and management, and today I am taking a great leap of faith to pursue a lifelong dream. From the time I was 15 years of age; I took great care in my appearance and delighted myself in health and beauty facts and tips. However, I was more than the material girl living in the material world. I believed that ultimately taking care of oneself from within through proper nutrition and exercise is essential to health and beauty. 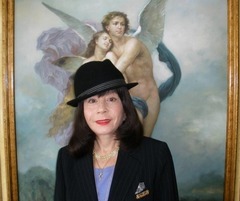 From extensive travels throughout Central and South America as a sales executive for major blue chip companies like General Electric, I acquired a vast knowledge of beauty aids and treatments from such countries as Brazil, Peru, Chile, and Colombia through my contacts with some of the top Latin American dermatologists and plastic surgeons. Those contacts came after more than 25 years of travel and working with the top manufacturers of medical equipment. With the team that I built, we dramatically increased the companies’ market share and presence in Latin America, continually exceeded sales goals, posted record sales figures and established distributor partnerships in Latin America. David and I met in June of 1995. They say that when one door closes, another will open. My mother and my best friend, was diagnosed with lung cancer and was told she had 6 months. Mom passed in October of 1995. David, my pillar of strength, was there to support me during the most difficult period of my life. We became inseparable and married two years later, January 18, 1997. I will never forget our first trip together. David was bringing me home to meet his family. We were in the Dallas airport waiting for our connecting flight to Austin, when a total stranger appeared out of nowhere and said that he was compelled to come over to us and tell us how “perfect we were together.” How awesome for others to see our soul connection. I believe it is Divine law for all living beings on this planet to be healthy and it was Divine intervention that brought us together so that we could fulfill the Divine law of health and wellbeing. Coming from different cultures and backgrounds, little did I suspect that David and I would be working together as the soul force to create health and wellness on this planet? David is a Baptist from Texas, and I am a Jewish lady from New York. For those people who say that oil and water does not mix, let them stand corrected. David was a successful general contractor and I was a successful international medical sales executive. David built hospitals, schools, hotels and the like before noticing his uncles dying at young ages in the late 50’s and early 60’s, of old age diseases; at 30 years old he said: “David your research starts now,” this will not happen to you and because of his research, 20 years later he was able to reverse naturally his prostate test PSA of “19” that doctors said had to be cancer. According to the American Cancer Society, a PSA level between 4 and 10 indicates a 25% chance of it being prostate cancer. A PSA higher than 10, increases the chance of having prostate cancer to 50% and above. I was instrumental in bringing healthcare to third world countries. I practiced Respiratory Therapy for eight years prior to going into the commercial aspect of the medical business. Two of the eight years were spent in Colombia, South America, where I taught physical therapists to practice respiratory therapy, thus paving the way for a much needed medical service in a third world country. The most often asked question we hear is “Why the career switches when you both are so successful? David and I are always on the quest for health and wellness. We constantly seek out the alternatives to the medical pharmaceutical sickness industry. 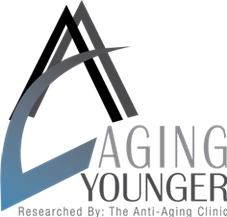 One day, it dawned on us that there must be others who are seeking the same alternatives and hence we opened our Anti-Aging Clinic in December of 2000. We are located in Tamarac, Florida. Our clinic is all about natural alternatives that are proven with the science of testing and results based protocols. We are both Nature-O-Paths (followers of the Laws of Nature) as well as medical researchers, and we are the creators of the ‘Eight Steps to Aging Younger’ program; empowering our clients to make better choices for health, hormone balancing, beauty and longevity. Our extensive research has led to numerous natural alternatives to mainstream medical pharmaceutical protocols and these alternatives work by ultimately bringing the body back into balance. We have also combined forces to create and formulate many state of the art health nutraceuticals and professional grade beauty products and protocols that work synergistically with each other. It is our belief that without prevention- we are all destined to age earlier. We counsel both Domestic and International clients, assisting people worldwide in preventing illness and disease- and educating on how best to Age Younger. David and I host the Aging Younger Radio Show, BlogTalkRadio.com/AgingYounger. Next March will be my 64 “Year Young” birthday and David will be 68 in February. Our love for one another and our passion to help others allows us to grow young together. As long as we have one another, we will be forever young. Great question and I would think that my response would apply to other professionals. Listening to my clients is key. I have easily taken my sales and marketing skills from my previous career and applied them to what we are doing at the Anti-Aging Clinic, coaching others back to health naturally. Understand your clients’ needs is the first round for building trust. Once the trust factor has been established, then it is an easy path for the client to follow our suggestions. I walk my talk. I eat healthy, I supplement, I exercise, and I have fun. Also important to mention is that I mastermind with other likeminded individuals in order to keep current with health trends. I do an extensive amount of reading and research on health. In corporate America, layoffs are very common, especially for sales professionals. The answer is yes, on many occasions when management changed. Nothing is forever and life is constantly changing. Once we understand this concept then we can lead an extraordinary life. A great book to read is, Who Moved My Cheese? Authored by Spencer Johnson, MD. The book is encourages an amazing way to deal with change in your work and in your Life. We are a small family, but none the less we are together. I love to cook on the weekends, which I set aside as family time. My 88 year young dad lives with us. I started traveling at the age of 17 when I was an exchange student in Honduras and have not stopped since. My mother used to say that she took the wrong baby home from the hospital, since I spent more of my time overseas than at home. With respect to health, well my taking a big leap from leaving a six figure income to opening a clinic is true passion. There are some very special people in my life in need of financial assistance, I would be there for them. David and I would build our dream home and dream Clinic. We own a parcel of land in Parkland, Florida. The land is large enough for both home and clinic. We would also sustain ourselves with fresh garden vegetables, fresh eggs, and goat milk, yes we intend to have livestock. It would be an added benefit to our clients who physically come to us, they would be recipients of our fresh produce and eggs. It is Aging Younger’s goal to transform those who are engulfed in the medical pharmaceutical sickness industry to the wellness industry. Travel, travel and more travel. And I also do a lot of reading. 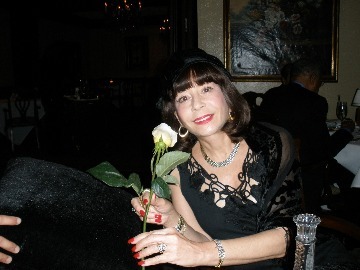 Recently Aging Younger Radio interviewed Suzanne Ruff, author of the Reluctant Donor. Her inspirational story on Polycystic Kidney Disease and the loss of many of her family members touched me. Not many people know about PKD and I hope this will bring some awareness. She serves on the National Kidney Foundation’s Living Donor Council Executive Committee. Living in The Supermind, Maurie D. Pressman. M.D. I have never publically disclosed this, but at the age of 23 I was raped. This is another story. Stephanie you are terrific! Aging Younger is a blessing....we have similar goals and dreams. What we put into our bodies and where our food and water are sourced from is critical to our health now more than ever. You are an inspiration.